Working towards that first research grant! Pollen productivity estimates of individual plant species are necessary when determining changes of vegetation cover in the past using fossil pollen. To date, studies describing pollen productivity in lowland temperate Europe have been carried out in cultural landscapes showing low forest cover and dominated by human activities. However, these may be of limited use when applied to reconstruct past land cover, for instance, from pre-agricultural landscapes. 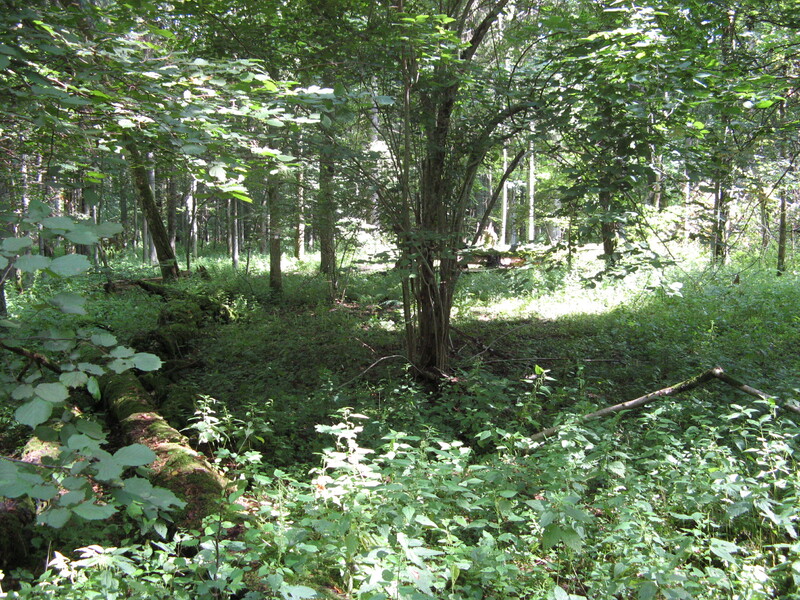 The aim of this paper was to ascertain whether pollen productivity from the closed canopy old-growth forest in the Białowieża National Park, Poland, where human impact has been minimal for nearly a century, is different from that calculated in much more open landscapes. We asked: how much does forest antiquity and structure influence the amount of pollen released from particular taxa? Our results demonstrate that pollen from forest grasses and forest hazel is six times more under-represented in old-growth forest than that estimated from cultural landscapes. This finding reinforces the idea that pollen productivity can vary in response to changes in the prevailing environmental setting and we present for the first time a quantification of this variability, likely induced by differences in light availability. 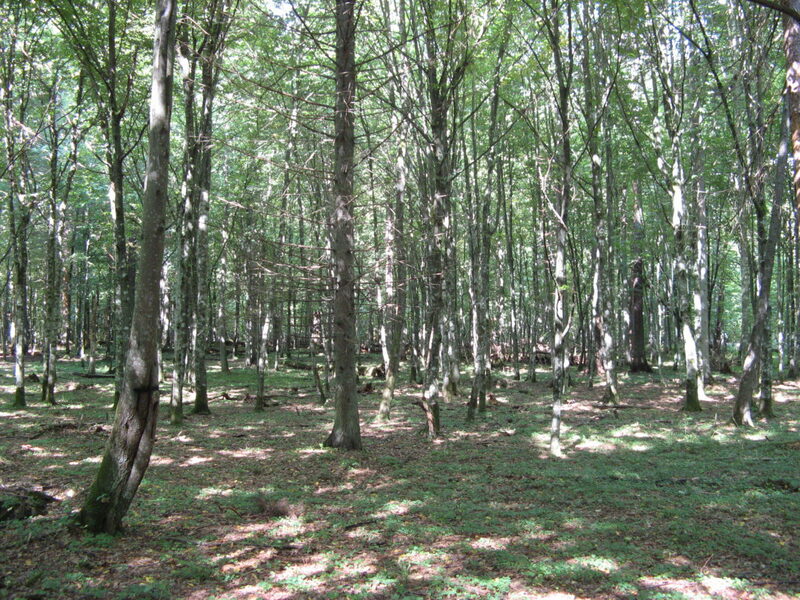 The Forest of Białowieża is a flagship ecosystem in European nature conservation. It covers about 1450 km2 straddling the border between Poland and Belarus. Białowieża is the largest expanse of lowland temperate closed canopy forest in Europe and it is unique for the complete assemblage of native trees, large herbivores and carnivores, for its size and for its antiquity. My work focuses on how biodiversity and ecosystems respond to environmental change. Answering this question is critical to developing evidence-based policies to protect biodiversity, the environment and ecosystem services in the current context of global change. New evidences in my research chiefly come directly from field studies in the natural environment such as vegetation surveys and from palaeoecological investigations using biological proxies such as fossil pollen, fungal spore, macrofossil and phytolith. I am a Lecturer in Biology at Teesside University, UK. I was previously a post-doctoral researcher based in UCL (University College London), UK, working on landscape connectivity, biodiversity and ecosystem function in freshwater networks. My PhD, completed in the Oxford Long-term Ecology Lab at the University of Oxford, UK, was a contribution to the hotly debated conservation practice of rewilding, using a long-term perspective.